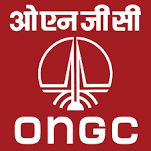 Oil and Natural Gas Corporation Ltd. (ONGC) has published Advertisement for below mentioned Posts 2018. Other details like age limit, educational qualification, selection process, application fee and how to apply are given below. Educational Qualification: Graduate Degree in Law (Professional) with minimum 60% marks. Practising advocate with 03 years experience would be preferred for all categories.